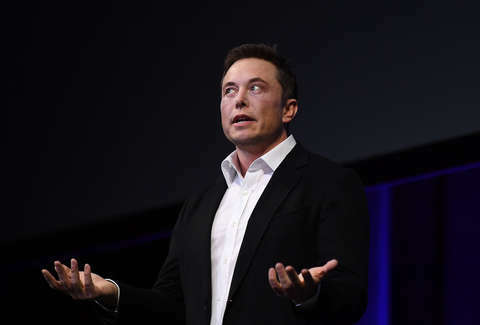 Tesla CEO Elon Musk surprised many on Tuesday when he tweeted that he may take the company private, saying, "Am considering taking Tesla private at $420. Funding secured." The plan was elaborated on in a blog post at the Tesla website. Though, the post doesn't mention financing. Musk said he would ensure shareholders have options, which could include retaining a stake in the company or selling their shares, as suggested in the tweet, for a profit. The tweet made Tesla's price soar before the stock was halted for around an hour, reports CNBC. It continued to surge when trading resumed. However, what caught the attention of the weird internet wasn't the potential financial impacts, but Musk's sign-off. His "funding secured" assertion struck many people as a funny, boldly confident way to end a tweet. Naturally, it triggered a cascade of people asserting that they've got "funding secured" for lunch and other mundane activities. Am considering wilin’ out in Montauk all weekend. Funding secured. Am considering taking all adorable kittens private at $420. Funding secured. If you're feeling unable to shout out that you've got funding secured for something, you can always let people know you'll be binging old episodes of Insecure using your parents' HBO Go password. Funding secured.